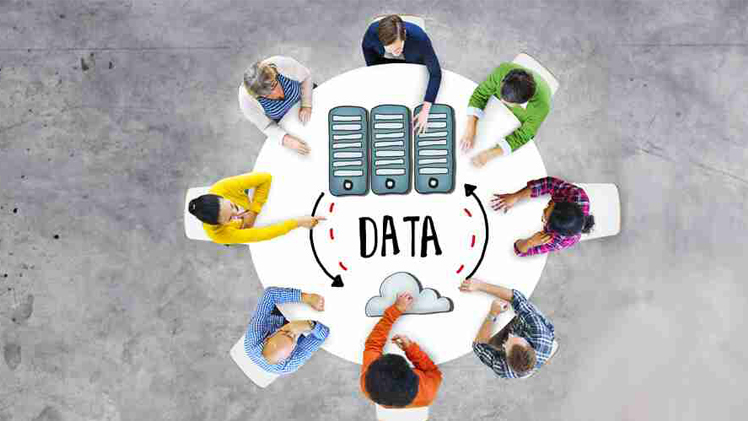 These days, we can perceive a very common trend of cloud adaptation which has caused data migration to be accepted by various business organizations, both large and small. If you aren’t much aware of the process of conversion and a proper platform for the conversion, you might consider migration to be very hard to understand. 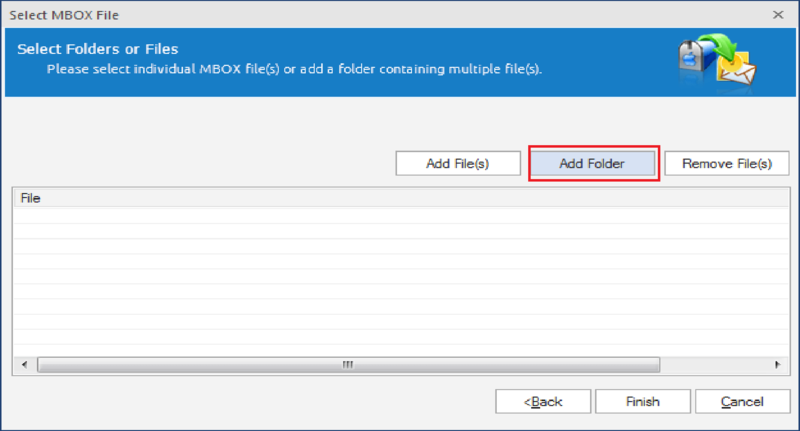 The following write-up seeks to elucidate on the tool-based method of converting an MBOX file to Office 365 or Outlook. 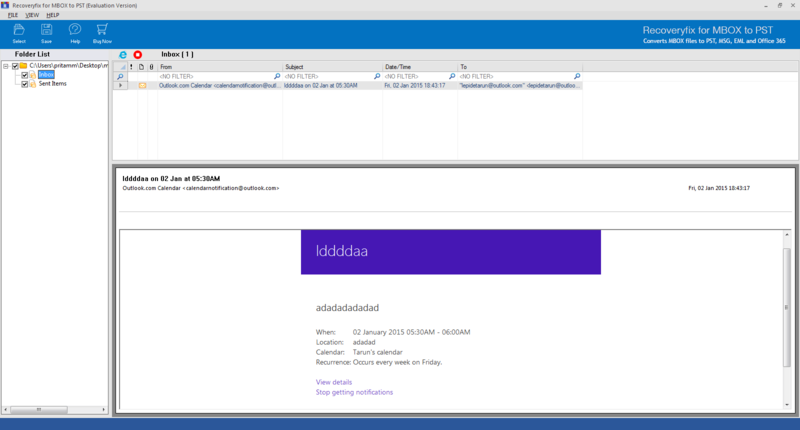 Those email clients known to store data in MBOX file format are Apple Mail, Thunderbird, Entourage, Eudora etc. 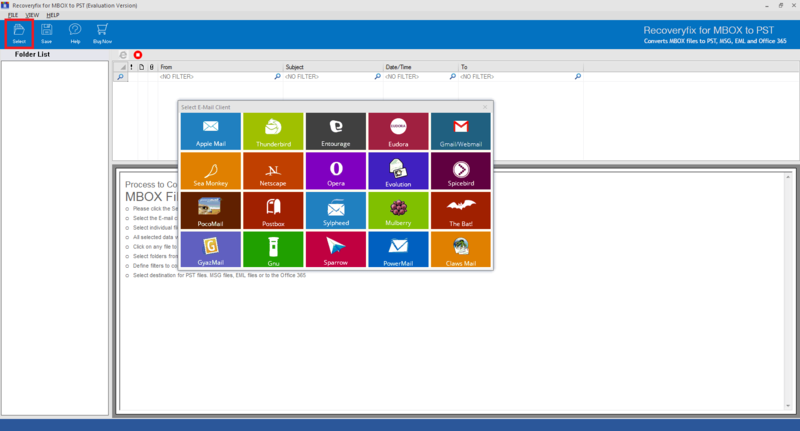 However, the necessity to Convert MBOX to PST comes in if you want to change MBOX files to Office 365. The PST file is more advantageous when compared with MBOX formats. PST format is well-equipped with strong security and is very strongly bonded when you compare it to an MBOX file. Office 365 permits the user to access his/her mailbox data from anywhere or even anytime, and from any device. It’s time-efficiency or capability of saving one’s vital time and its being easy to manage, are its USP. Hence, this becomes a great reason to interchange from MBOX to Office 365 (Online Exchange). Moving on to the quick as well as smarter method of conversion which successfully and efficiently changes MBOX files to Office 365. There are certain email clients which backs manual or workaround methods to export files from one format to another. But, in case of MBOX data, it is a very risky process and you might have a chance of losing important data. Having said that, it is recommended that you use a fully professional as well as reliable solution. You can opt for Recoveryfix for MBOX to PST Converter software with all the trust for converting or exporting MBOX data files to Office 365. Step 2: Click the Select button to select email client. Click on the email client you require, from the list. Step 4: Now, Select from Folder List, those folders which need to be converted. 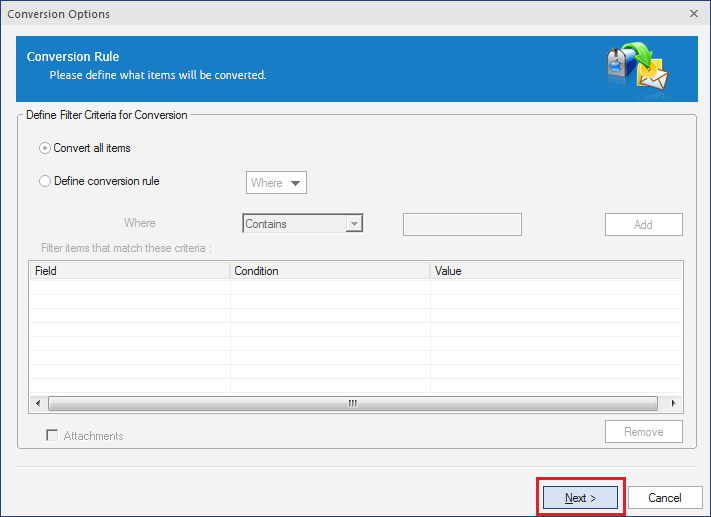 Step 5: Select the Option you wish to use from the Conversion Options Window. Click Next for the next step. 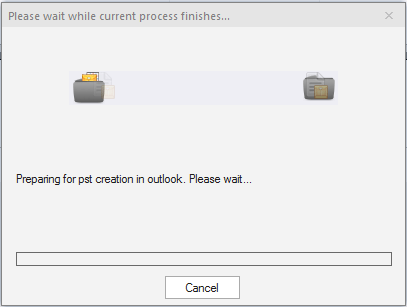 Step 6: Select the destination where you wish to save the converted file in. 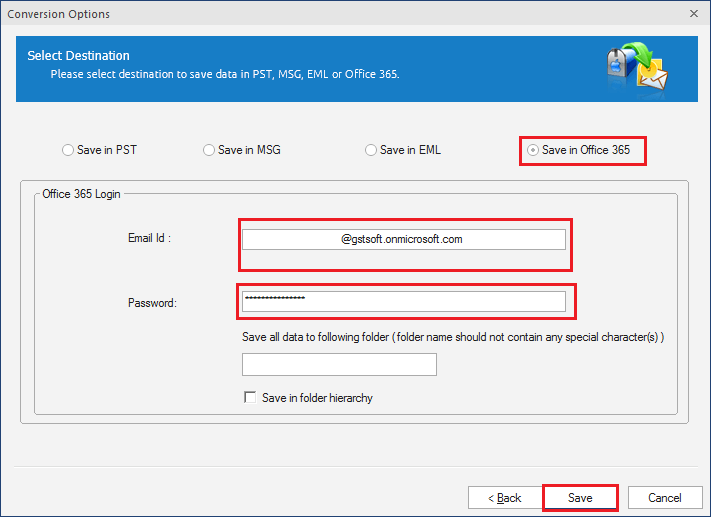 Choose or Select ‘Save in Office365’. (Note: Check Save in Folder Hierarchy if you want to save the files in their original hierarchy.) Click Save. Step 7: The process begins. Step 8: Upon completion you will be notified. And your MBOX File has been saved as Office 365. Practically manual methods are very lengthy, time-consuming, and very tricky at times that they possess data loss vulnerabilities too. As data is the most important concern for users, it is suggested to go for professional methods only that are safe and secure and quick.